Meeting was called to order at 8pm. There were 2 birthdays, Glen Baskins and John Winton. Announcement of special social meet up to be held at Iwan Reis on Nov 10th from 1pm until close. There will not be any collection of dues but there will be a raffle for two $50 gift certificates. There will be an email sent out soon asking for drivers and how many people that they can take. Parking fees will be covered between the riders of each vehicle. Allan said the he’ll be one of the drivers with room for 3 maybe 4 additional members. It was explained how much Chuck Levi does for our show and that the club owes a visit to Chuck’s store as a thank you. Judd Perlman spoke about the Columbus show saying that it was well attended and he himself had a great show. New business was: Craig C, Allan B, Aziz P. , Chuck Martin and John W. all worked on updating the clubs By-Laws. Copies of the new By-Laws were handed out to all who were there. They are to read and be reviewed and the club will vote on excepting them at the September meeting. It was announced that Herm H. was added as a board member to the Pipe show board. One of our newer members Lucky asked for volunteers for a small focus group to give opinions on a pipe smokers bag that he and a friend are developing. 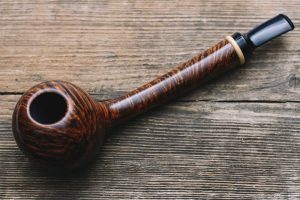 He’s looking for comments to address to make it a better product for the pipe smoker.Lucky passed around a sign up sheet for anyone interested in participating in his focus group. Bob P. Thanked everyone who came to his meeting at the Havana Cigar shop in Waukegan. Bob also announced that he has gotten a new job in broadcasting and it will be a pipe and tobacco show, first starting as a pod cast with it transitioning onto the AM radio in the near future and will be based out of Fox Lake .We all wished him well in his new endeavors . Jim Watts mentioned that his wife is making custom T-shirts and misc, other products. He will bring in some club shirts as samples to the next meeting to see who would be interested and also getting comments of how the shirt might be laid out differently. Mike T made a suggestion that members bring in pipe related items or tobacco for sale or trade to each meeting and make an announcement as to what they have brought. CPCC meeting notes for July 21st held at 8 to 8 Cigar in Villa Park, IL. The meeting was called to order at eight o’clock. New Business: We are currently trying to set up a club meeting at Iwan Reiss. More information will follow. Show News: Chuck Martin gave an update. Currently the show is keeping apace of prior shows with ¾ or the tables being sold. Other News: Dino Argyropoulous reported the Peterson Pipes have been bought out by Smoking Pipes(.com). He also noted that his church is holding its annual Greek Fest. Please contact Dino for more information. Tim Garrity asked for donations of older and or inexpensive pipes. Said pipes will be cleaned up and packaged as new smokers kits to be handed out at selected pipe/cigar stores. We had a great showing on July 14th at the last Social Smoke held at Arlington Pipe and Cigar shop in Arlington Heights. Upcoming North American Society of Pipe Collectors show is coming up August 17th & 18th in Dublin, Ohio. Congratulations to this forthcoming year’s officers. A new group of Club board members was initiated with Allan Boyd, Chuck Martin, John Winton and Aziz Panjwani being installed by the membership. Chuck Martin reported that there were three items not collected by successful bidders at this year’s silent auction at the Chicago Show. These items were auctioned off at the meeting. They included a Club stamped block meerschaum pipe, a Peterson pipe and a billiard with the CPCC logo. There will be an informal meeting of Club members and other assorted interesting smokers on Saturday, July 14th (Bastille Day) at Arlington Cigar at 546 W. Northwest Highway in Arlington Heights, 847-255-2263. No dues collected and no names taken, just an informal get together. I won’t even attempt to write a piece as nice as the one they posted. Please be sure to check out this special pipe during this year’s silent auction on Saturday. For driving directions to The Cigar Lounge, please click here.